When I was little, Christmas Eve was my favorite day of the year. It was hard to tell then, as I ripped through ribbon and tore through paper, but the truth was, the build up and mystery of December 24 was always half of my pleasure. Now that I am no longer a child waiting for sleigh bells on my roof, has Christmas Eve seemed to have lost it's sparkle? Now that I can buy basically whatever present I want for myself, and I can cook any day of the year, has the magic been lost? I say no, because of tradition. Though now decades have passed since my sister and I were small children, my family's Christmas Eve routine has remained virtually the same. We go out to breakfast. We hit the over-crowded malls for any last minute shopping that hasn't been attended to. We come home and help my mom prepare for dinner. Dad falls asleep with the remote on his belly. We have fondue. We feast and laugh and overstuff. We roll downstairs and watch a holiday movie. Dad and Vanessa fall asleep. Vanessa wakes up angry attesting that she was awake. We trudge upstairs and wait for Santa. These memories are kept alive every year because of tradition. And while they may evolve as we do, they live on. One thing that has changed for me is my choice of beverage. 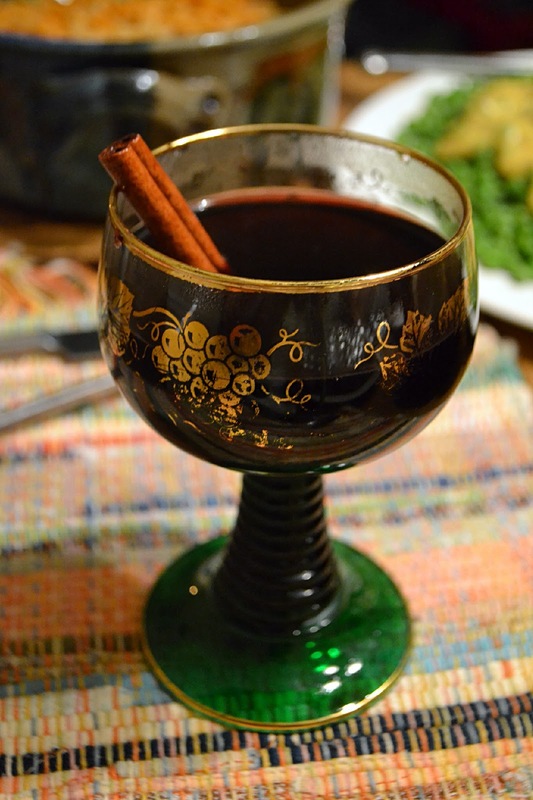 Nothing smells quite like the holidays like Hot Mulled Wine full of festive flavor. So pour yourself a glass, sit in front of your tree, and take in the magic one more time. 1. 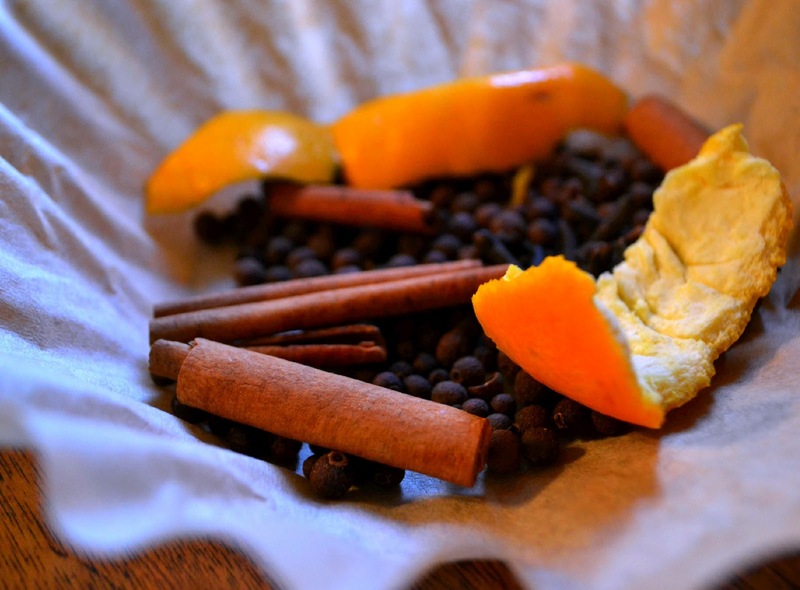 Combine the allspice, cloves, cinnamon stick and orange rind into a cheese cloth (or even a coffee filter). Secure with thread. Combine sugar, bourbon, wine and mulling spice blend in a large pot. Bring to a simmer and cook for 20 minutes. Discard mulling spice sachet. Serve warm with cinnamon sticks, if desired.